Intwasa Arts Festival KOBulawayo roars into life On Monday. A week that would be full of top notch events. From Poets to Musicians, One talented individual that will grace the event is talented Farirai The Gospel Poet, who will also be perfoming during Intwasa. 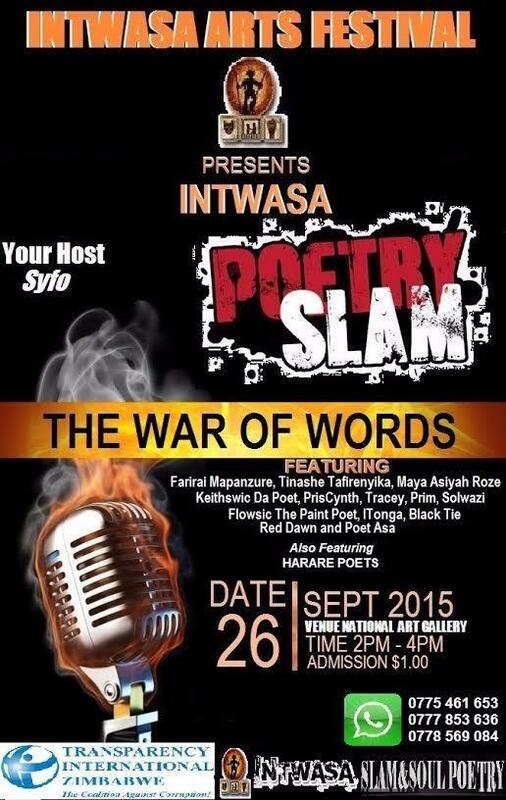 Farirai was the winner of the pre-intwasa slam. When and how did you discover the poet in you? 1999 when i was in Grade 5 i developed interest in reading & presenting poetry @ school functions. I began to pen my own poems in 2002- in Form 1. How do you describe your type of poetry? Gospel Poetry- poetry with a moral message that addresses societal issues. In my poetry creativity meets divinity. What clothing do you find comfortable and fits right into your persona when you are performing on stage? What are you basics when creating a poetry piece? I look @ how current my issue is; i hv my audience &addresee in mind as i write. Then i panel beat my poetry with the best of linguistic expressions. The Psalmist David & maybe MzwakheMbuli. ‘Poets make bad lovers!’. How true is this statement? Do you think there is room for love in a poet’s world of solitude? Hahaha all i can say is i’m deeply in love with an honourable lady & poetry becomes a vehicle of expressing my love for her.